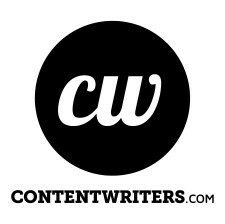 NEW YORK, June 6, 2018	(Newswire.com) - ContentWriters has released a white paper outlining the current state of marketing as it pertains to the rehab and addiction treatment industries. The study comes on the heels of sweeping reform to Google’s pay-per-click (PPC) platform that severely restricts the capacity for rehab and addiction treatment centers to advertise on the search engine. Palm Partners, a Florida-based rehab center, has already been utilizing content marketing to bolster their marketing efforts. Through authoritative content, they were able to increase new patient acquisition by 900 percent, while boosting their call volume by over 1,100 percent. With Google’s restrictions in mind, ContentWriters’ findings indicate that marketing budgets would prove much more efficient if they were redirected towards content marketing, regardless of the changes in the PPC space.